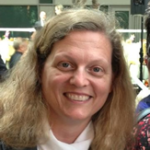 Mary Ann Clarke is a computational scientist with degrees in Materials Engineering, Pure and Applied Mathematics from Virginia Tech. She brings both industrial and academic research experience to NETL. As part of the MFIX development team, she is upgrading the software’s current MP-PIC implementation. Her research interests include numerical methods for multi-phase flow and general numerics for engineering applications.